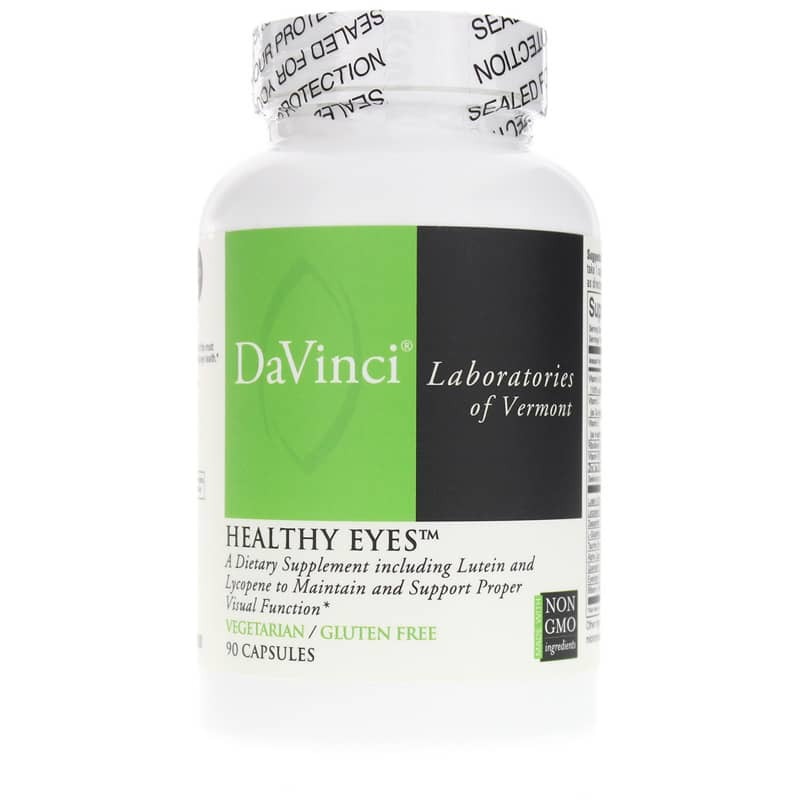 DaVinci Laboratories Healthy Eyes is an advanced nutritional supplement designed to support and maintain proper eye health. 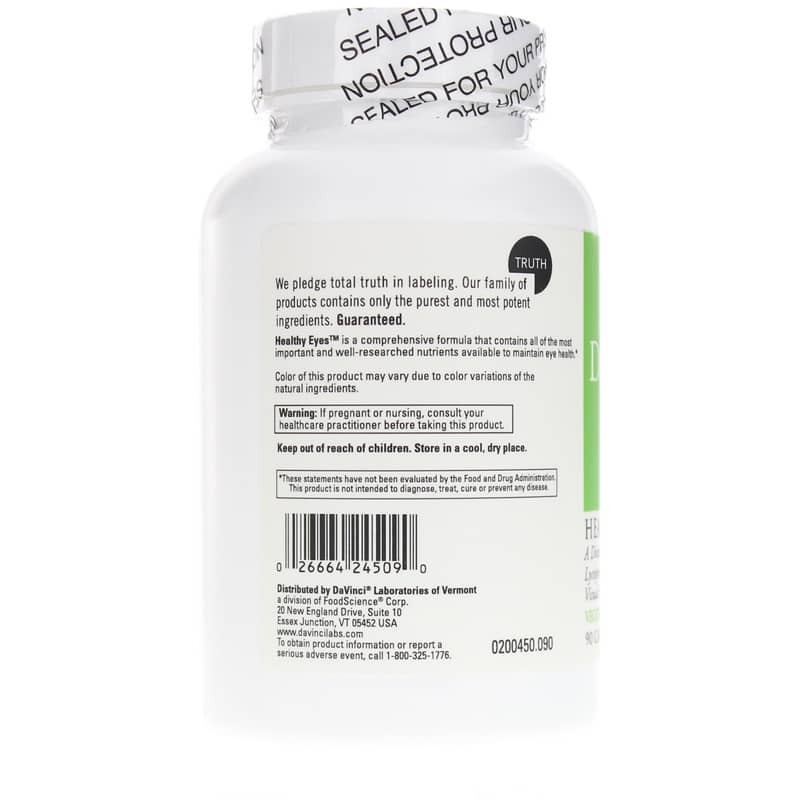 Healthy Eyes is formulated to help with eye problems that develop as a result of dietary deficiencies, aging, toxins, free radical exposure, stress, and sunlight. 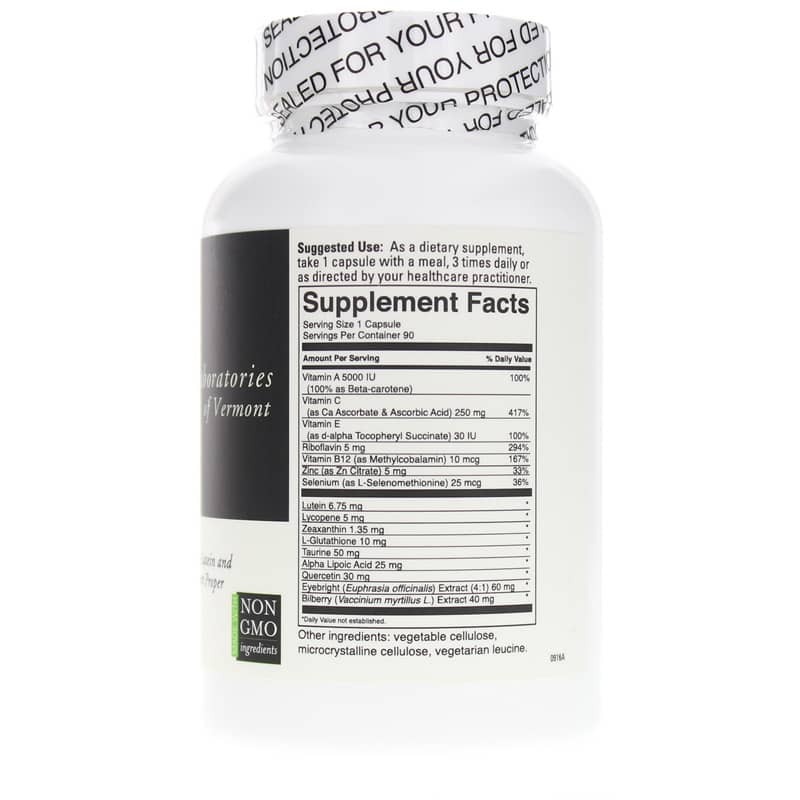 It contains 16 nutrients, including antioxidants, vitamins, minerals, and herbs found to support optimal eye health and functions. Contains NO: gluten, GMOs. This product is vegetarian. Adults: As a dietary supplement, take 1 capsule with a meal, 3 times daily, or as directed by your healthcare practitioner.